In the photo: lilac daisies catananche in the garden. 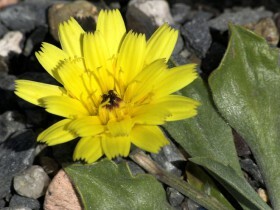 A plant with an exotic name miraculously combines winter hardiness with natural appearance, which is a typical for annuals. Gentle, air plant constantly produces flowers with a romantic, delicate purple color. Catananche is a great culture in the vase life and in decorating compositions. Growing cute "daisies" will not give the grower much hassle, only need to provide frequent watering in hot weather. The culture won't be considered popular, but it has already received the popular name of "Mediterranean cornflowers". 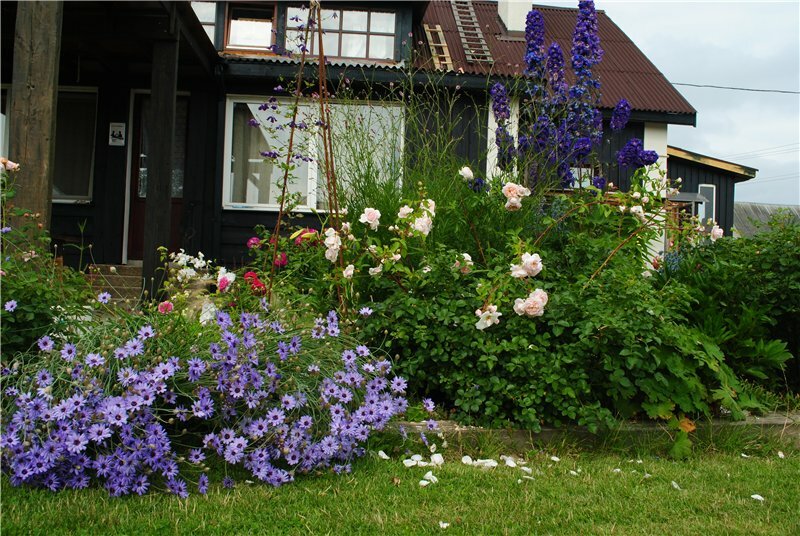 Flowering perennial delights the eye all summer. 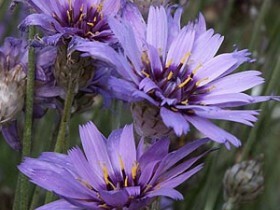 In the genus catananche five types of plants. 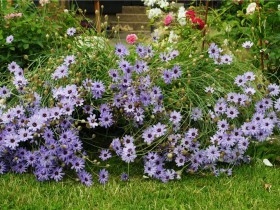 As ornamental crops grown catananche blue. Herbaceous perennial capable of withstanding even harsh winters, but it is short-lived, after three or four years after planting loses its decorative qualities and requires frequent division of the Bush. 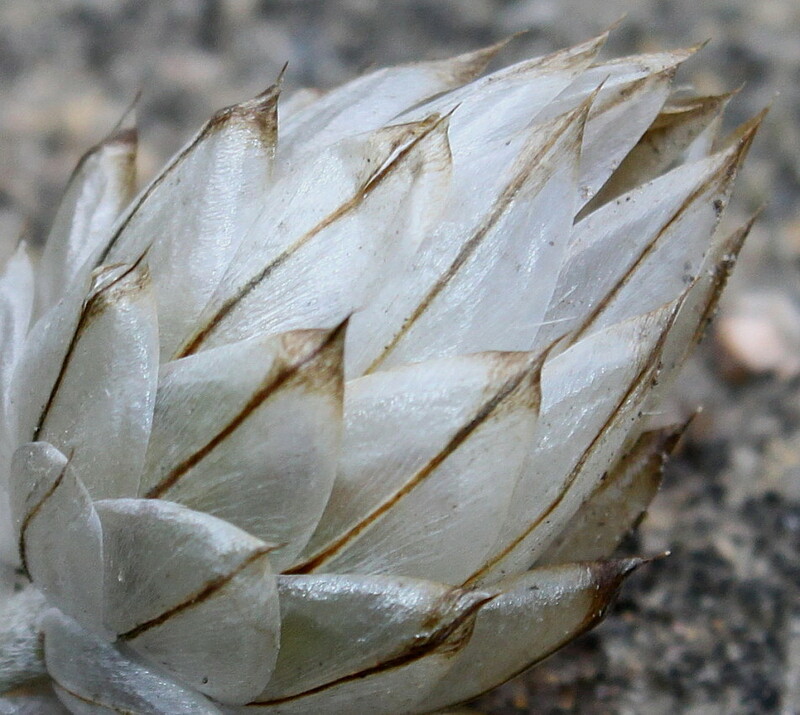 The height of the flower – to 60 cm, first, it's a little kurtinka, which is gaining power, growing. 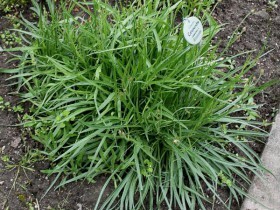 Linear, narrow foliage similar to cereals. Blossoms bloom on the ends of the thin, but strong stems. At the same time flowers like cornflowers, chamomile and chicory, diameter – 4 cm. After flowering tie boxes, containing hundreds of seeds. Flowering time – all summer, from may to August, some species grow until the first frost. Shades from blue and purple to white and mauve. The box with the seeds catananche. as a culture for cutting and preparation of winter bouquets. In the photo: catananche in the landscape. Transplanting in the open ground is carried out at the end of may or the beginning of the first summer month. Delenki culture can be planted in may. The distance from other plants, from 30 cm. When planting it is important to save earth com, to protect the roots from damage. Transplant catananche not afraid, but caution can help new bushes faster to settle down in a new place. Watering is provided prior to the resumption of growth and flowering. 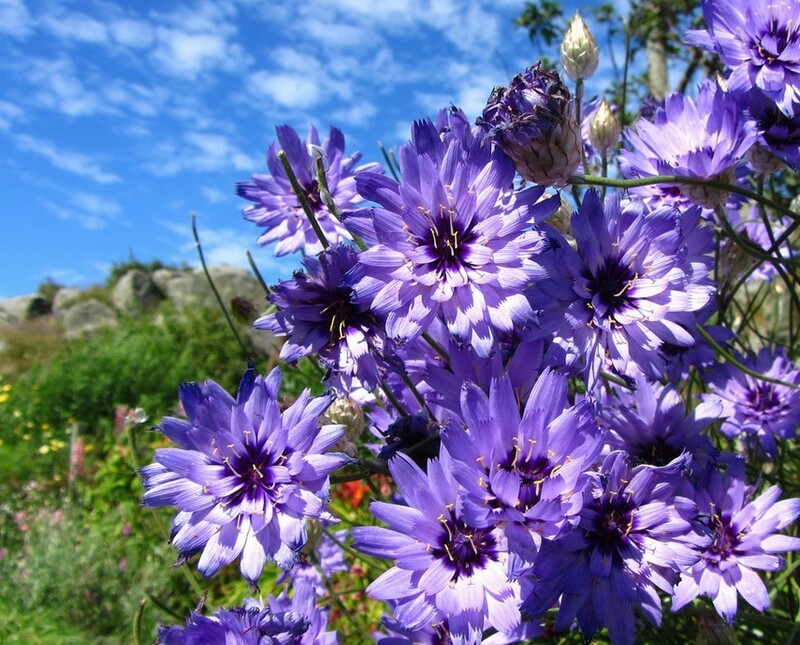 The plant is not demanding to care, the higher the ambient temperature the more often you need to water catananche. Excessive moisture is also not useful, may decrease growth and flowering of culture. Fertilizing is not needed, lilac Daisy tolerates poor soils. Despite a sufficient frost resistance, the plant needs shelter in winter. Snowless winters and sharp temperature changes can be fatal. The objective of the shelter – stabilization typical for the middle band of weather phenomena. Culture is well propagated by self-seeding. Natural growth can be used as a seedling. The perfect way – seed. It allows to obtain strong seedlings, these bushes will not lose appeal three or four years. Seeds can be sown into the soil immediately, better to do it in early summer, on a special plot, and then transfer to a permanent place of growth. 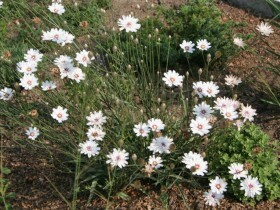 Catananche will bloom the following summer. Sowing seedlings carried out in late March, you will need a loose substrate. Just scatter seeds on surface and sprinkle a very thin layer of sifted soil. After planting planting sprayed from a spray. After the appearance of the second pair of leaves catananche transferred to individual pots. In the open ground plants are planted after, as the threat of frost passes. Divide clumps in late may. The procedure is done with a sharp knife, the landing is made together with the clod of earth. The plant is resistant to diseases and pests, only sloppy care can affect the normal development and contribute to loss of decorative properties. Blue catananche in the garden. All content on this site SamDizajner.ru written specifically for Simdesigner, copying 1 in 1 strictly prohibited. 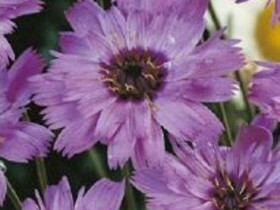 Reprint, full or partial rewriting of the article “Lilac daisies catananche”, possible, only when you specify the full, active link to the source.